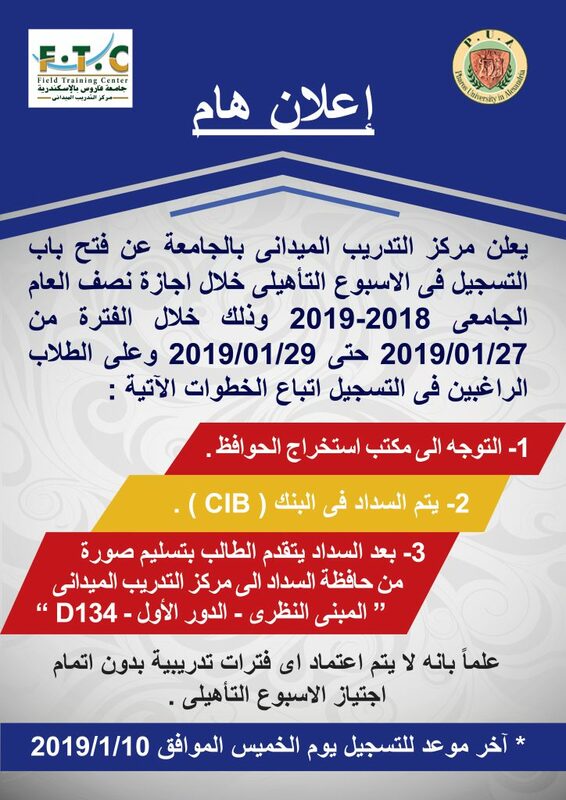 The PUA Training Center announces admission open for the vocational training period that will be held during the mid-year break from 27/1/2019 to 29/1/2019. The vocational training period is a prerequisite for getting the training opportunities offered by the PUA Training Centre in West Delta Electricity Production Company, the Egyptian Petrochemicals Company and Majid Al-Futtaim Group (Carrefour). Heading to the Student Accounts Office to get the payment order. Payment is made at any CIB. The student should then hand in their deposit receipt to the PUA Training Centre in the Humanities Building, first floor- room D134. Training in the aforementioned organizations shall NOT be taken into consideration, in case of not attending the vocational training period. 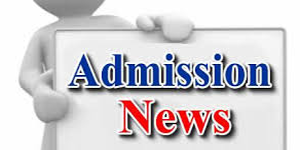 The deadline for registration is Thursday, 10 January 2019.